This post is in collaboration with Your Pilates Physio. Training to run a race like The Speed Project takes a lot more than running. If you want to run strong for the best part of three days you need to be strong. Strength training, yoga and Pilates have all played a part in my training programme, helping me build strength, recover and improve my mobility. Pilates has also been great for managing some of the little weak points that have become apparent as the race has got closer, areas like my lower back which can be weak and buckles during longer runs, throwing my form way off and killing my performance. When my lower back starts to feel strain it’s a sign (at least for me) that I need to work on my core, so that my muscles know to work harder to help me stay nice and upright. Although weight training and yoga help with this to some extent, the think that I’ve always found works really well for me is Pilates. Those simple (yet killer) exercises really help me to hold myself better, and if I’m doing then my lower back isn’t going to give way quite a quickly. Saying that, although I work for one of the best Pilates companies in London, I don’t actually get to many Pilates classes. Heartcore’s dynamic Pilates classes as often fully booked, or I’m too busy to make it to the studio when I’m not actually working myself, which is why I was thrilled to work with Your Pilates Physio for a review - I could fit Pilates in, at home around my schedule. Your Pilates Physio differs from the Pilates I practice at the studio. First off it is mat based (because most people don’t have a reformer bed at home! ), and secondly it offers Clinical Pilates which is focused on helping people overcome physical injuries and pain conditions (whereas a studio like Heartcore is more focused on Pilates for fitness). 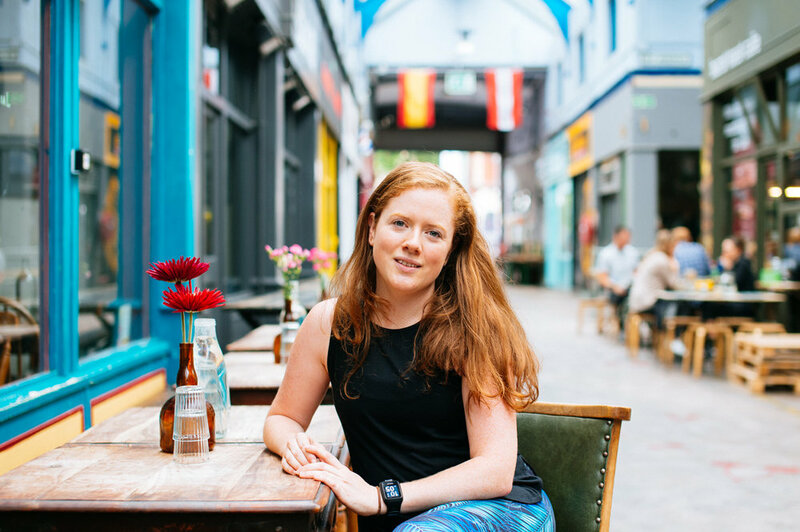 Founder, and experienced physio, Lyndsay Hirst, has a passion for treating musculoskeletal problems and she found through her work that Pilates exercises were an amazing way to help address and prevent many of the issues her patients were experiencing. Its something more and more physios seem to be in tune with, I’m pretty sure at least once a shift someone comes into the studio saying their physiotherapist has sent them as Pilates would help X, Y or Z problem. However, Pilates isn’t always very accessible - there aren’t loads of good studios, classes can be expensive and people are time poor, so Lydnsay launched Your Pilates Physio, a platform that allows you to access high quality PIlates instruction wherever they are. I chose to focus my Pilates workouts on my lower back (Lyndsay has a workout for most ailments) and because the website is so easy to use I could find the workouts I needed, for the length of time time I needed and at the level I needed simply and quickly. Each video moves at a really manageable pace, so it’s easy to follow each exercise either on screen or by listening to Lyndsay speak. There’s no banging music or distracting backgrounds, just good, clear instruction, which is exactly what you need when you’re practicing at home, alone. Practicing Pilates at home a couple of times a week has made a big difference to my lower back. I feel a lot stronger and like I’m holding myself much better, and hopefully that’ll last through the 340 miles between LA and Vegas! *I was given a month’s free subscription to Your Pilates Physio in exchange for review but all opinions are my own.